In a continuing effort to increase transparency in the used-car buying market as well as create new strategic partnerships for the company, CarProof announced this week it has teamed up with British Columbia’s OpenRoad Auto Group. 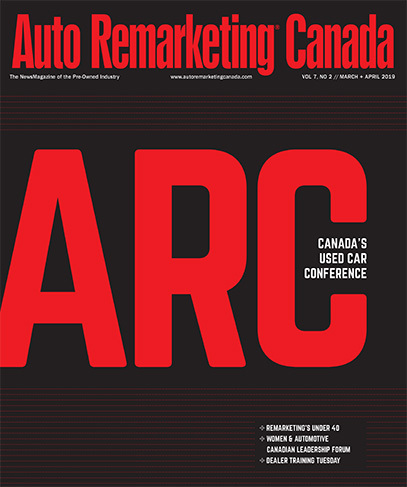 Woiteshek discussed the move in more detail with Auto Remarketing Canada on Tuesday, noting the partnership solidifies OpenRoad’s commitment to CarProof’s products, but also acts as an opportunity to further efforts to research ways to make the used-car buying experience smoother and more efficient for all involved. CarProof has also partnered with Birchwood Automotive Group and Group Park Avenue to conduct similar research in other provinces. In fact, CarProof, jointly with Birchwood Automotive Group, plan on releasing the results of their consumer research by the end of the month. At Birchwood, CarProof had seven employees on their lots for a week interviewing customers, “and we got a lot of amazing insights out of that,” Woiteshek said — insight which he hopes leads to a lot of good conversations and recommendations on how to make the buying process easier for used-car buyers. One of the results of that research is a new "generation" of integration of CarProof VHRs on both the Birchwood and Groupe Park Avenue websites, which pulls information out of the report and makes it more quickly available to consumers. “That was a result of talking to consumers and seeing how important it is for them to see a vehicle history report online, what kind of feelings they get when they don’t see it, and what would make it easier for them to consume it,” Woiteshek explained. Woiteshek aims to take a similar approach to initial research with OpenRoad. “We are doing a similar type thing where we are going to go do voice of the customer work, and really understand the user experience in B.C., and specifically, OpenRoad dealerships. We are going to really focus on the used-car experience online and in-dealership,” he said. OpenRoad, which launched back in 2000, is one of the most quickly growing dealer groups in Canada and touts over 750 employees representing 12 new-car brands and over 450 used vehicles throughout its 15 stores. OpenRoad also provides CarProof VHRs on all their used vehicles and is currently piloting CarProof’s Vehicle Valuation Report, which is an appraisal tool aiming to simplify the trade-in process and make it less of a “pain-point” for consumers. CarProof is tentatively planning for a Q1 2016 roll out for the valuation tool. “Our focus is on building a product that 3,000 dealers in Canada are going to want to use. We are in no rush to get out the door. We are just going to keep iterating on it and making it better until we feel like it’s ready,” Woiteshek said. What makes OpenRoad, Birchwood and Groupe Park Avenue a good fit for CarProof’s efforts to create strategic partnerships in the industry? Woiteshek said it’s all about commitment. “They have got to be willing to roll up their sleeves, engage with us and do the work to figure out how we go get real good feedback from consumers,” he said. “These three dealers are forward-thinking, and they are actually willing to do something about it. “They want full visibility on what’s working and what’s not working in their business, and we are helping provide that to them so they can map the journey ahead for their customers,” he concluded. As for whether we can expect more partnership announcements in the future from CarProof, Woiteshek said a few more will be rolling out over the next few months. He explained this is part of a change in the overall CarProof strategy.